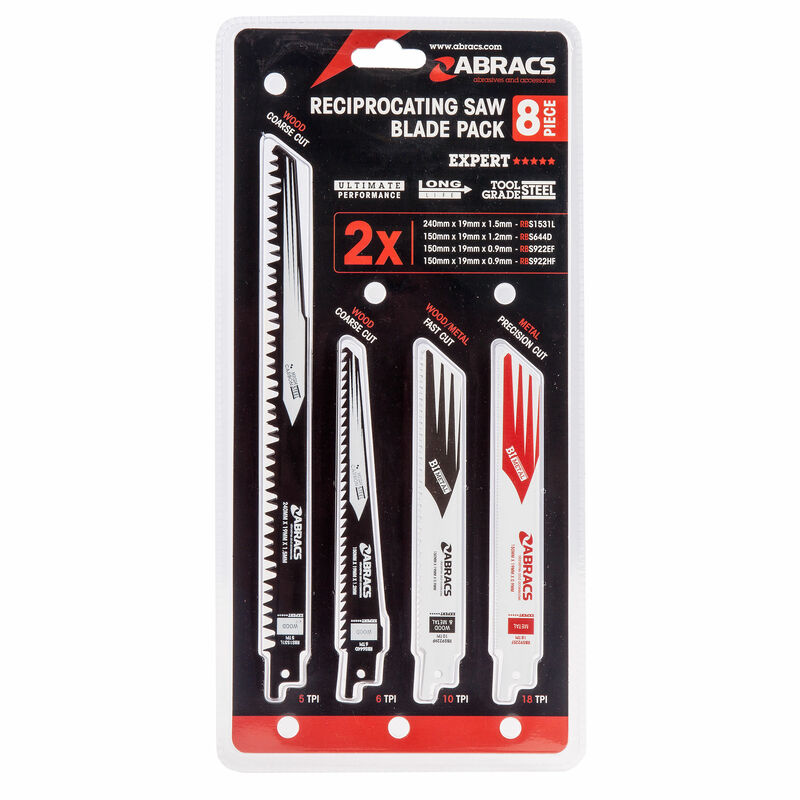 The Abracs RBSMIX8 is an 8 pack of assorted blades for cutting wood and metal. There are 4 different blades, 2 of each for cutting coarse wood only, wood / metal or metal only. The range is packed with product features such as ultra flexible for flush cutting, heavy duty for strength & durability and progressive cutting for a smooth start to cutting hard materials. We have selected high carbon steel, bi-metal and HSS material blade construction within our product ranges to ensure maximum performance when used on the intended application. The universal fitting is compatible with: AEG, Atlas Copco, Black & Decker, Bosch, Dewalt, Flex, Hilti, Makita, Metabo, Milwaukee, Porter, Cable and Skil machines.